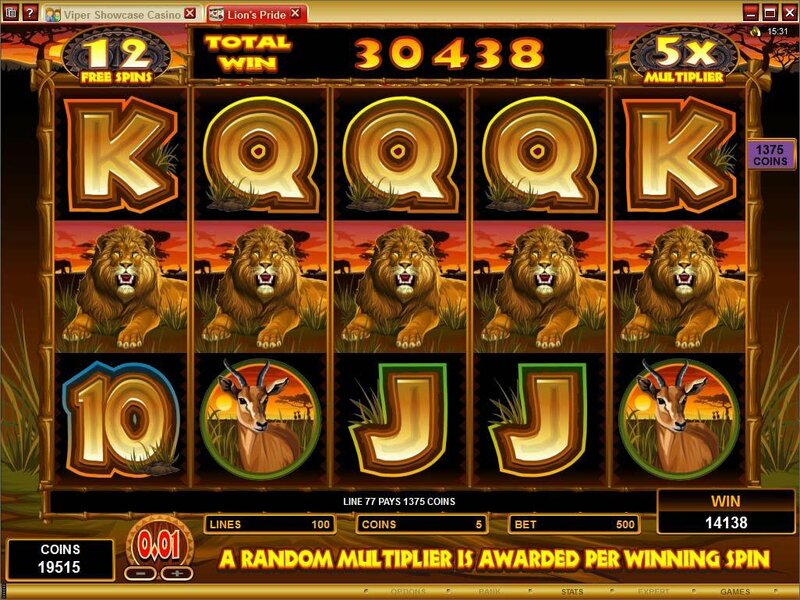 Overview: The King of the Jungle is featured in all his splendour in the latest new 5 reel 100 pay-line video slot, LION'S PRIDE. 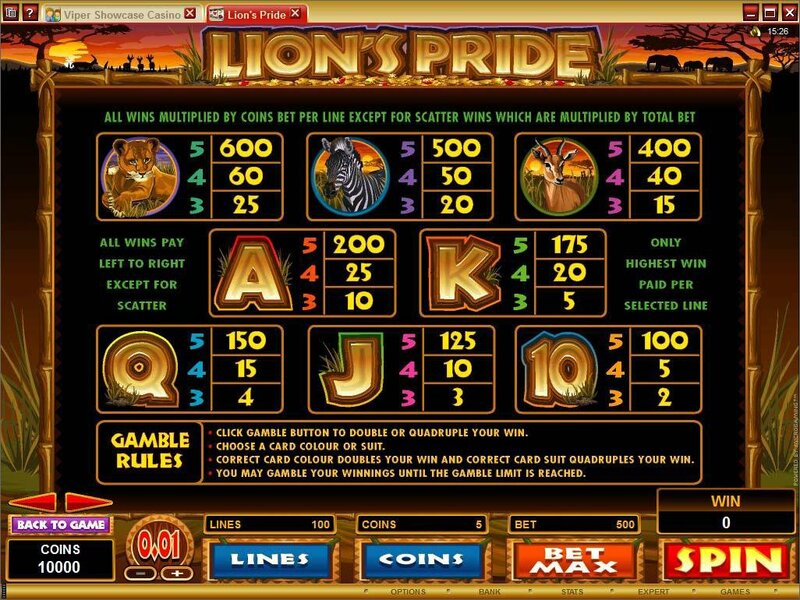 With stunning graphics that transport the player to the sunlit far horizons of the wide African plains, this larger than life game offers online gamblers a great mix of Scatters, stacked Wilds, Free Spins with significant Multipliers and a Gamble feature, all contributing to achievable rewards of up to 12 500.00 in the base game and a staggering 125 000.00 in free spins on a max bet of only 10.00. The distinctive African theme is carried by these magnificent big cats themselves, along with their 'meals on wheels' in the form of zebra and antelope. 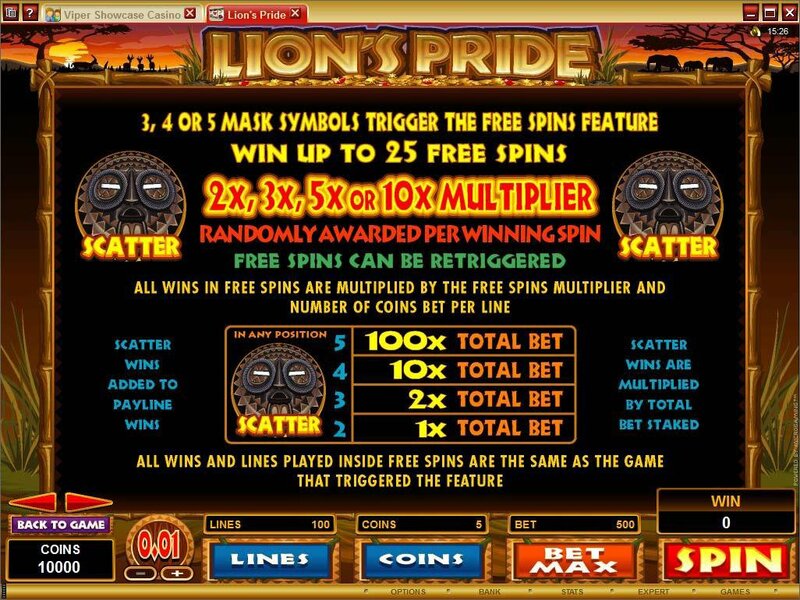 That rather fierce looking African tribal mask is in fact the key to reward, because 3, 4 or 5 trigger a very generous Free Spins feature in which up to 25 free spins can be won, each carrying the possibility of multipliers ranging from 2x to 10x. 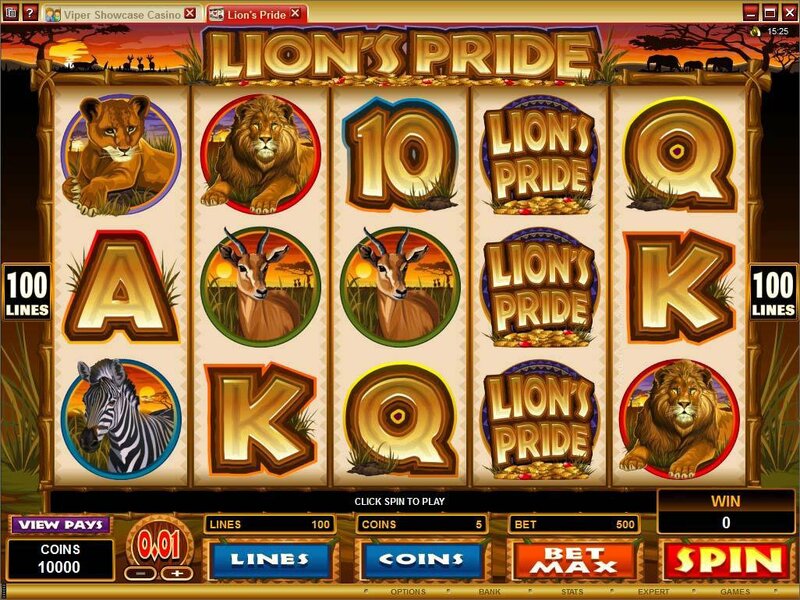 Another symbol to look for is the Lion's Pride logo, which acts as a stacked Wild and can deliver some very lucrative winning combinations. 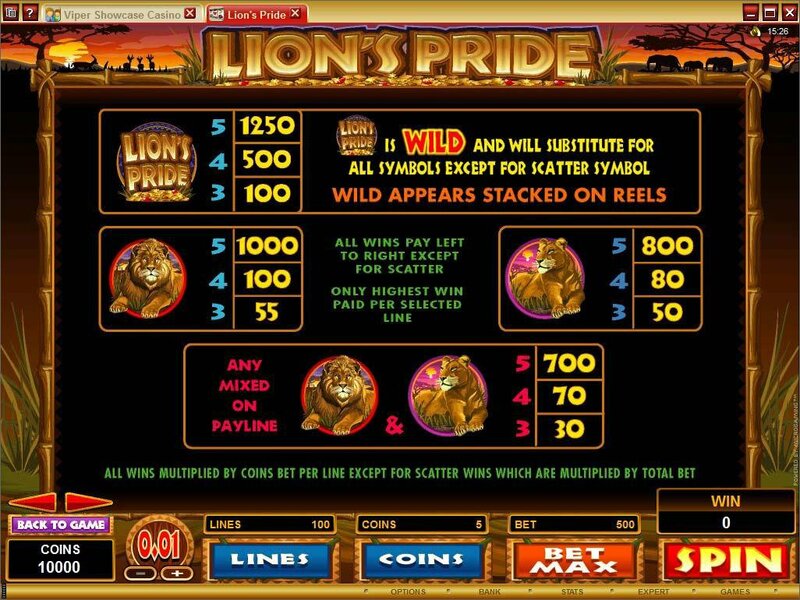 Similar Slots: If you like Lion's Pride, you might like these other 5-reel slot machines: Big Break, Crazy 80s, Royal Feast, Worldcup Mania, Your Lucky Day.